Green Leap Projects provides turnkey solutions covering the complete execution of projects from concept to commissioning that include all activities including civil construction. In addition to design and engineering of the project, coordination is done for the entire process of selection, procurement, erection, commissioning and validation. 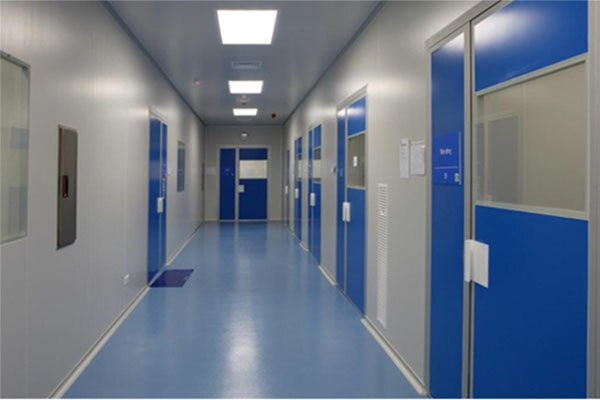 HVAC System & Clean Rooms: Design of Clean Rooms to support Linear Process Flow & Efficient Operation HVAC Systems factoring ease of operation, maintenance & compliance. Optimize space unitization through efficient design & effective integration. Electrical: HT & LT Electrical works with complete responsibility of getting the power sanction and obtaining statutory approvals including supply of HT Panels, transformers DG sets, LT panels and cables. Effective integration of multiple Power sources, Energy Management features by design, simplified & safe operations, electrical panels with BMS compatibility to integrate with DDC & VFD and lighting control on ethernet. Process & Equipment: We provide complete solutions for selection, sourcing, installation & commissioning of Equipment. Solutions include Engineering, Development of Process Flow Diagrams (PFDs), Documentation support and Validation support. Utility & Services: We provide Water Systems (Pretreatment, PW & WFI), Compressed Gases, Pure steam & plant steam and all kinds of piping.